I arrived home yesterday evening to find a message on the answer machine. It had been left at 2.00 pm. It was from a consultants secretary whom I have an appointment next week. She gave her first name, adding she was the secretary and gave the consultants name. She then went on to ask if I could give her a ring regarding my appointment with him next week she gave the time and date of my appointment she left her telephone number and asked me to call her. This call breaks patient confidentiality. 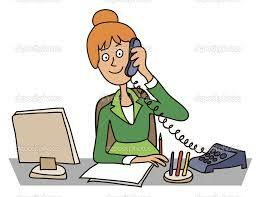 As a Receptionist how would you have dealt with the call when you found that the patient was not in? I know it is very difficult when you have to speak to a patient and you get an answer machine. But it is important that you do not leave any patient information for others to hear. 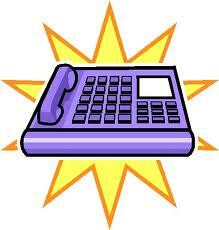 Does your Practice have a policy on telephone patients and leaving messages? 1. What could the secretary have done differently when making the call? When the secretary phoned she should have not mentioned anything about an appointment. Or given any indication of the consultant’s name. I might not have wanted anyone in the house knowing that I had such an appointment with the consultant. It could have been of a delicate nature. What if I had been a student in a household with other residents and my information was given out on the telephone? 2. What could the Secretary have done to keep the call confidential? She could have just left her first name and asked me to call her back. For another person listening to the call it could have sounded like a friend calling. She could have tried calling me on my mobile number which is a bit more secure in as much as I would probably be the one to answer. She could have text me and ask me to call. Or she could have sent me out a letter if there had been enough time. She could have tried phoning again the next day. As a Receptionist working in a Surgery you will often get to know your patients and therefore able to judge such calls – if you know that certain patients are happy for you to phone and leave a message perhaps you could put a note on their records to say – helping others when they have to make that phone call. If you work in a Hospital or a similar environment you might not know the patient you are phoning (like my situation today) so please take into consideration patient confidentiality. Most people are happy for you to phone and leave a message – but there are the odd occasions whereby people do not want their information given out in such a way.